I’ve a confession, I’m a massive block fan. It wouldn’t far from the truth to say I perhaps love toy blocks more than my children ever did – and with that in mind I have to say these Koi blocks would look nothing short of fabulous displayed on my coffee table. Of course I’d be willing to share, the children are welcome to play with them and practice their number recall and so forth (at my discretion, naturally). Packed in a superb keepsake box, the Counting Koi Blocks from House Industries are set to set to make both young (and not so young) hearts swim in delight. 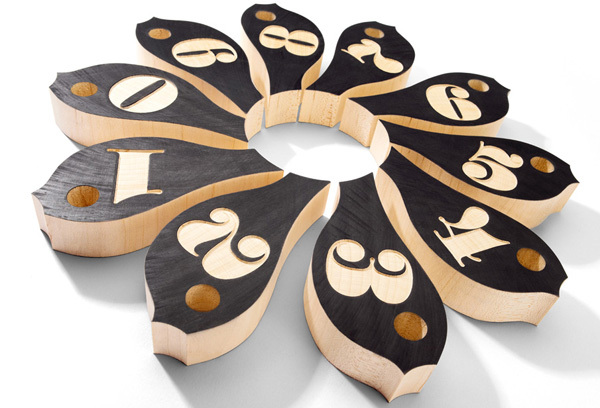 A set of ten koi shaped blocks made from sustainable maple wood are beautifully hand printed with an embossed numeral pattern on one side and the single number on the other. A monochrome and stylish teaching aide, what else could you ask for your children (and coffee table vignette)? Suitable for children aged three years and over, Counting Koi Blocks are priced $109.95 and available locally from Lark.